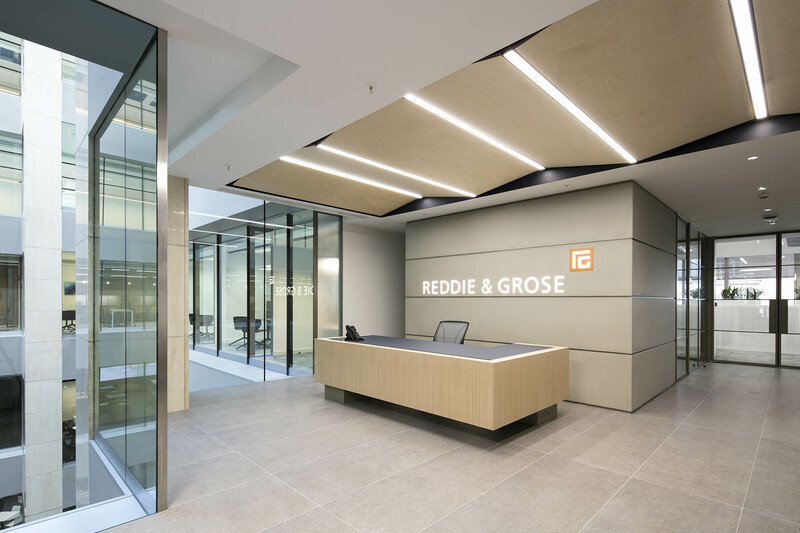 Workform collaborated with MCM to design customised furniture for Reddie & Grose in the Whitechapel Building, Aldgate, London. Custom designed screen system, framework and sit-stand desking manufactured by Tecno Spa. Workform provided consultancy, project management and installation services for the workstation and the loose furniture packages.